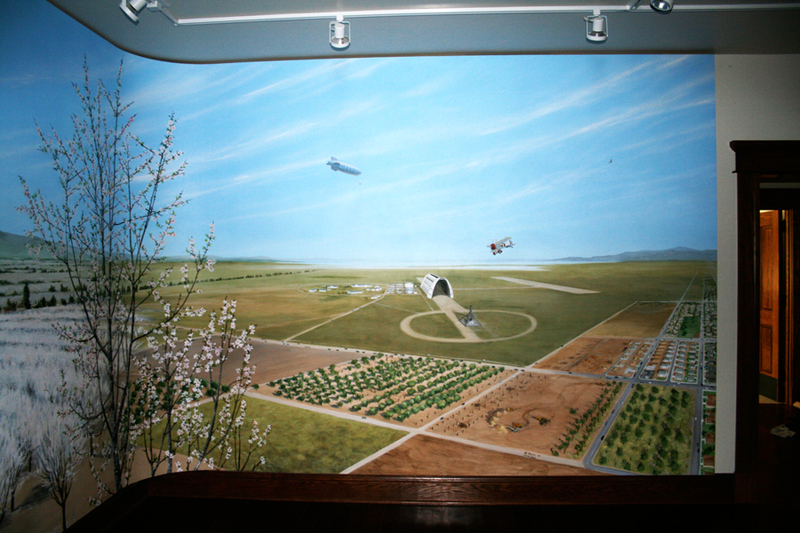 The Sunnyvale Heritage Park Museum is a historical museum located in Sunnyvale, California. 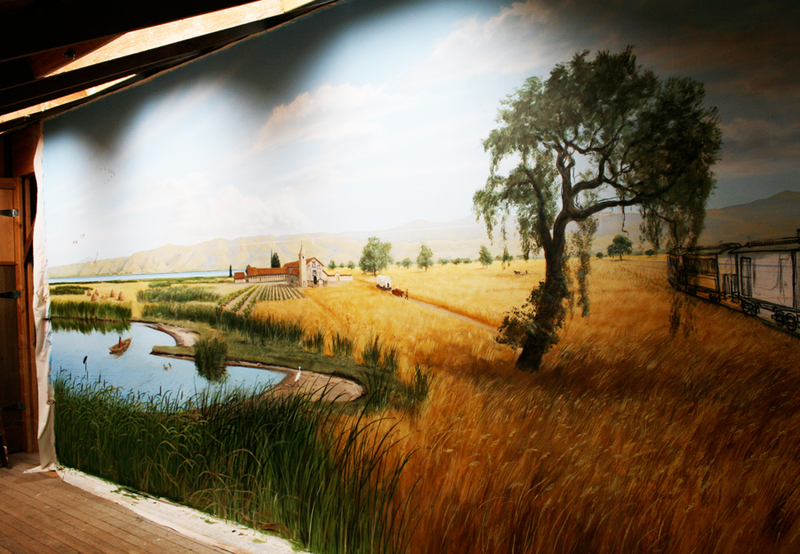 Located next to the Sunnyvale Community Center and the Heritage Orchard, the museum is a replica of the original “Murphy Family Home”. 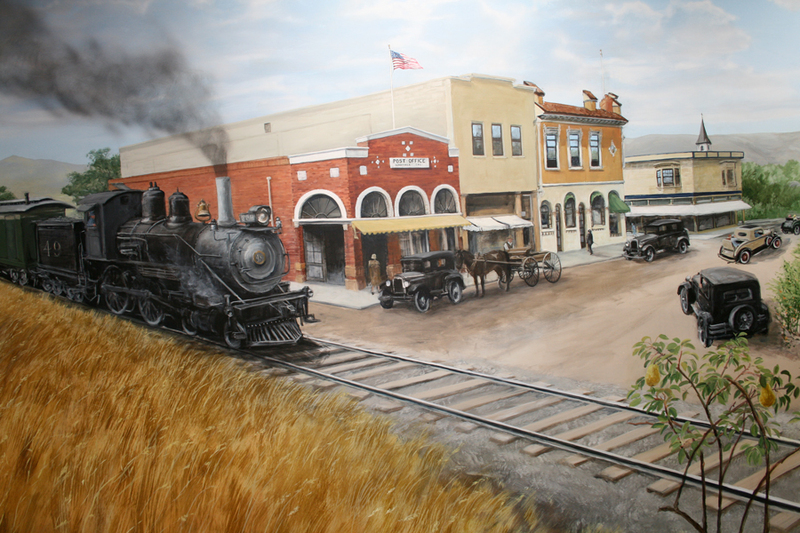 The Martin Murphy and his family were founders of the City of Sunnyvale. 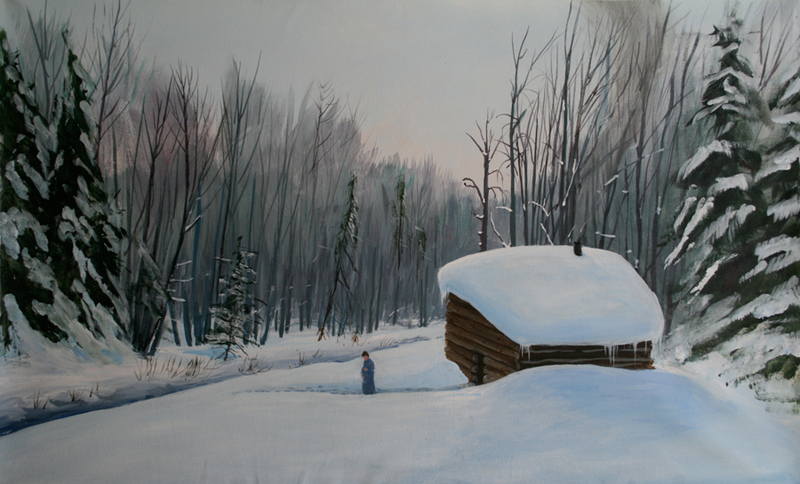 The Murphy Family Home was constructed in the 1850s. 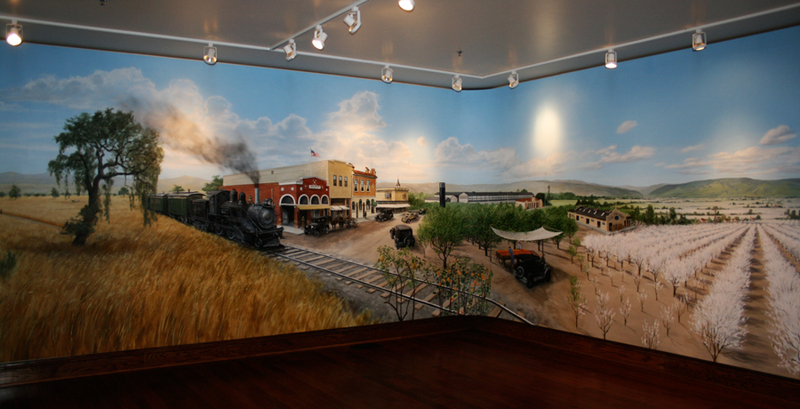 Alumni Exhibits completed a 10’ X 68’ mural which wraps around its own room in the Museum. 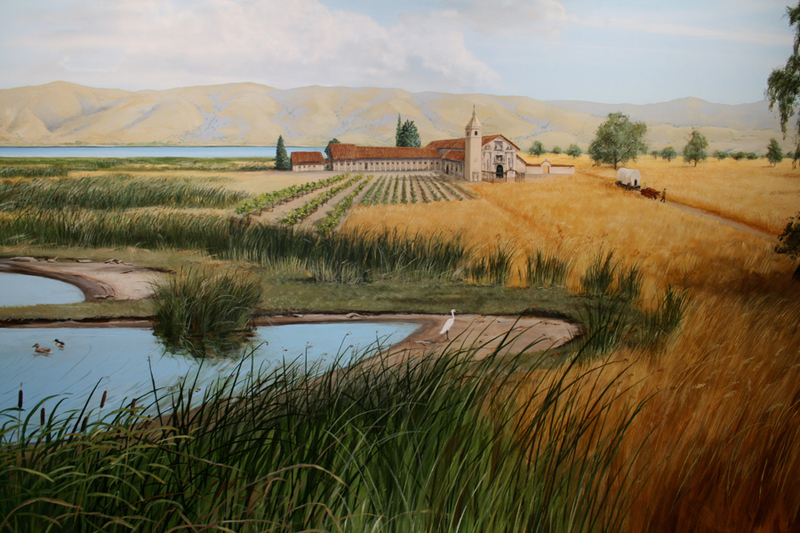 This mural illustrates the contours of the hills surrounding the present day Silicon Valley and provides one with the feeling of being there over a century ago. 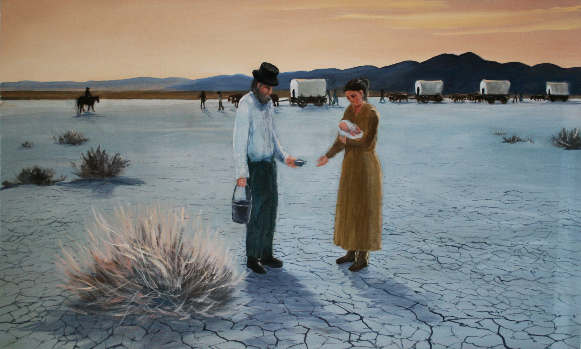 In addition, AE completed several smaller works to illustrate the journey of the Murphy’s to California from Missouri. 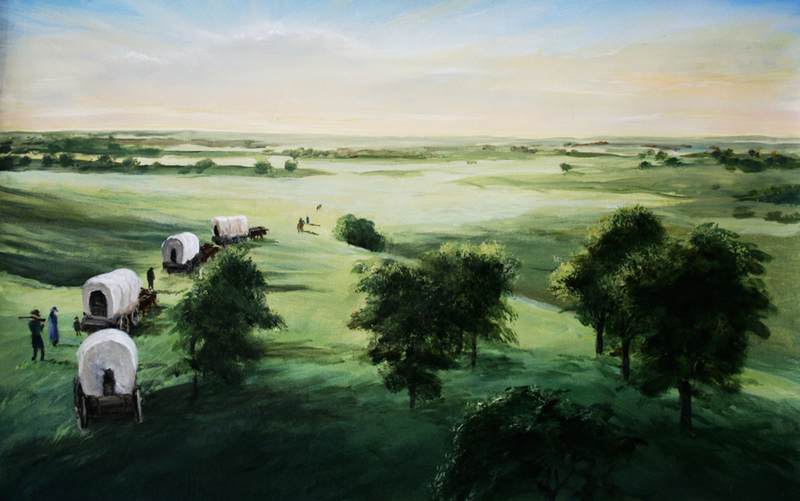 Alumni Exhibits works with clients to design exhibits that showcase the stories that are embedded in the landscape. 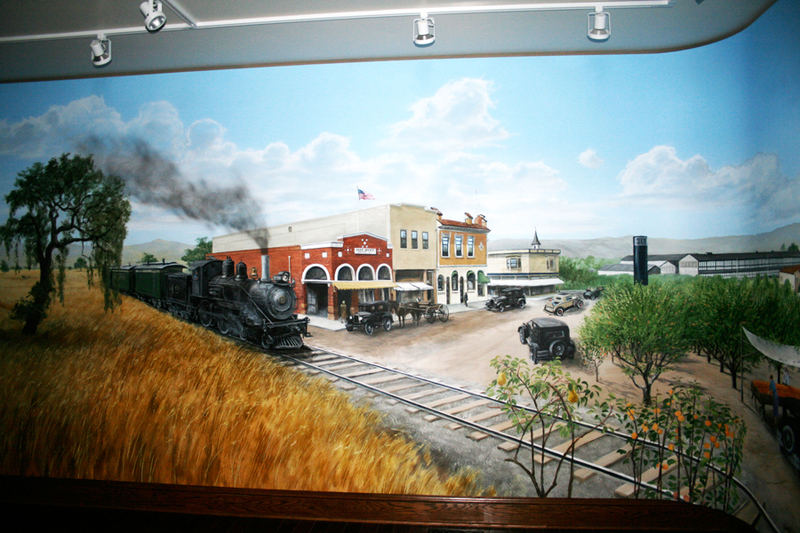 James Freed assisted on the design and painting of this mural. 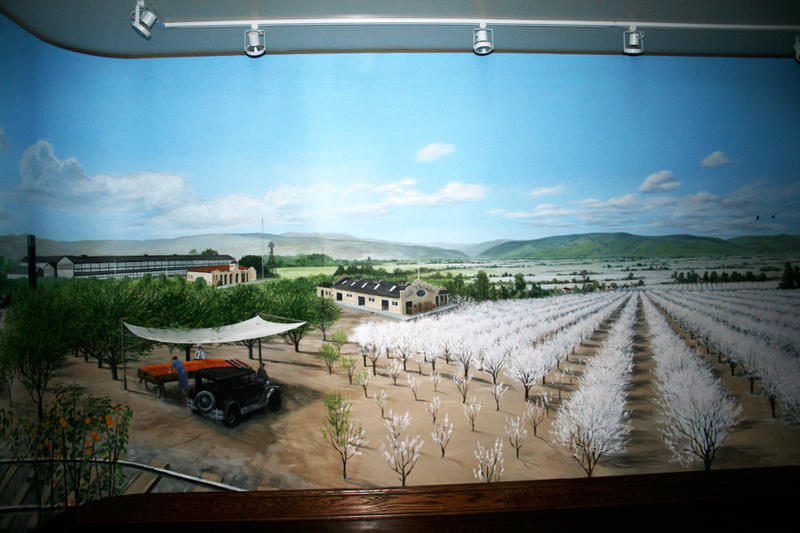 The Sunnyvale Historical Museum was dedicated and opened to the general public in September, 2008. 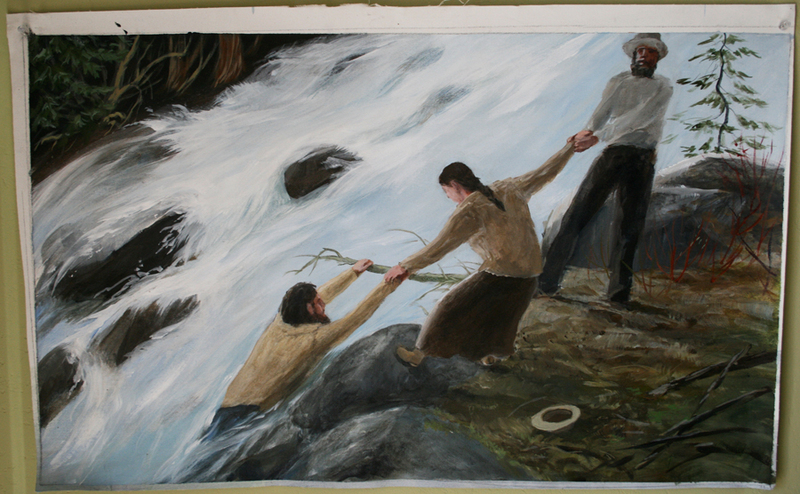 Link to Museum. 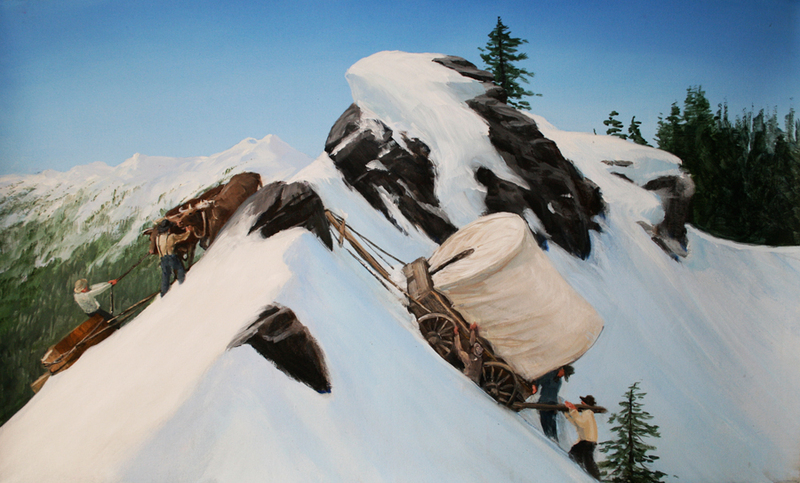 One of several smaller works designed to illustrate the hardships of the journey from Missouri to California. 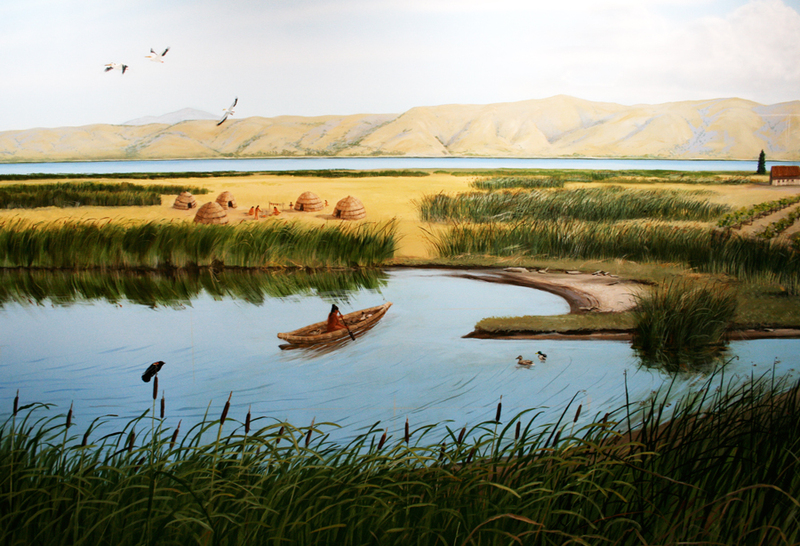 Surviving the winter on the westward trek.